“Unfortunately, many adults’ small intestines may never fully recover from the damage inflicted by celiac disease (children generally do achieve a full recovery). But the good news is that you’ll probably feel pretty healthy anyway. When you have Celiac Disease, the gluten protein found in the grains wheat, barley and rye incites your immune system to attack the lining of your small intestine. This results in what’s called villous atrophy, where your tiny, finger-like intestinal villi literally wear away, leaving you unable to properly digest food. 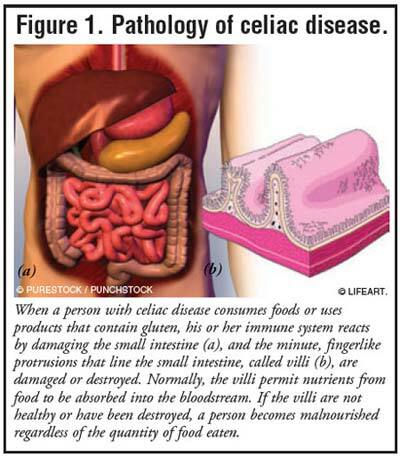 Once you’re diagnosed with celiac disease and begin the glutenfree diet, your villi generally start to heal. But several studies have shown that in adults your small intestine may not heal completely, even if you’re following a very careful diet and aren’t cheating. Children on the other hand have the probability of healing completely if adhering to diet. One study, conducted at the Mayo Clinic in Minnesota and published in 2010, reviewed intestinal biopsy records for 241 adults who’d been diagnosed with celiac disease, and who then had a follow-up biopsy.